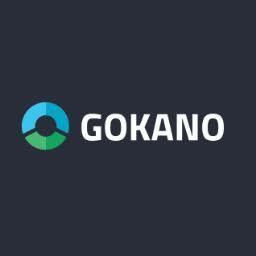 Hi Guys From Few Days I Am Receiving Lot’s Of Message Daily From Users That What Is Gokano. So We Decieded To Make A Post Because It’s Difficult To Reply All The Users. 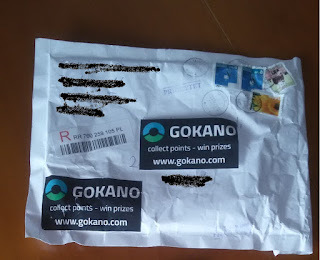 Mainly Gokano Is Website Which Is Offering Free Gift Voucher Just By Completing Simple Task…It Just Take Less Than 2 Minutes. 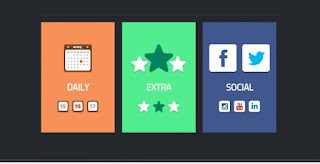 So Below I Am Giving You Full Detail How To Use Gokano And Earn Free Gifts Card From It. 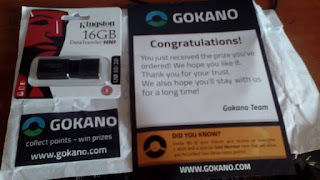 Gokano Is A Online Website Which Provide Free Gifts Cards, Prizes And Well Electronics Just For Login Into Account. All The Products Available In Gokano Can Be Redeemd Against The GN You Earned Daily By Login Into Account. 2. Electronics – Ranges From Pendrive To IPhone. 3. Others – GTA Gift Card, Amazon.com Gift Card And Much More. 2. Now Sign Up Your Account By Entering Your All Details Like Name, Email , Number Etc. 3. Now Verify Your Email. 4. Now On Home Screen You Will See “Get Daily GN Now” In Red Color Click On It. 5. You Will Earn 1 GN = 1 Point From This. 7. Go To Daily Mission And Select Any Answer Out Of 2 Don’t Worry Ur Answer Always Correct. 8. Now You Will See You Earn 2 GN. 9. Now Login Daily And Earn 2 Points. 10. Collect Enough Points To Redeem Prizes. 1. You Can Also Earn By Inviting Friends. 2. You Will Get 1 GN Per 1 Friend Refered. 3. If You Refer 30 Friends You Will Become Gold Member. 4. Gold Member Means Daily Activity Gives You 4 GN / Points Instead Of 2 GN. 1. Prizes In Gokano Can’t Redeem Immediately…. Restock Will Take Place And You Can Order Prize In That Restock. 2. Every Month We Update Time Of Restock. 3. We Always Brodcast To WhatsApp Users If Any Single Product Restock Take Place. 1. Open Prize Which You Want To Redeem. 2. When Restock Time Take Place Refersh Prize Page And Enter Address Fast As U Can. 3. Verify Captcha And Order Prize. 4. Hurray You Have Ordered The Prize. 1. Gokano Send Every Restock Product After 1 Month. 2. If You Redeem Paypal You Will Get Next Month Instant. 3. If You Redeem Prize….Next Month They Will Deliver You And You Get After 45 Days Of Delivery. 1. First Download UC Browser. 2. Skip If You Already Have. 3. Now Open Incgnito Browsing In UC Browser. 4. Copy Your Referal Link And Paste Their. 5. Now Use Any Email And Number And Create Account. 6. Verify Email And You Will Get Your Referal Point. 7. Clear Data And Turn Off Incgnito Browsing And Turn It On Again. 8. Repeat Steps Again And Again To Loot Unlimited. 9. Don’t Use Another Browser You Will Get Blocked. 10. Daily Create 7 8 Accounts.